“Business as usual” is dead. Today, organizations must operate differently. Outdated business approaches, sow bureaucratic management methods that aren’t going to work in the Internet era. The “command and control” hierarchy of the Industrial revolution no longer gets results. Good employees understand their jobs better than their bosses. Since they’re right there on the ground floor, they know what needs to be improved, and often they know the how and why as well. Their one-on-one interactions with customers enable them to know how to build and deliver exactly what those customers want – whether an internal or external customer. These employees just need to be empowered to go do it. And, that’s where the corporate culture comes in. Smart businesses realize by allowing decision-making at the edges of their organization, they can benefit from the insights of their employees. But they need a strong operating culture in order to ensure that the right decisions are being made. That begins with a company philosophy that permeates the day-to-day fabric of the business. A well established company philosophy gives every employee a framework for making decisions based on what the company does and doesn’t value. Without it, pushing decision-making to the outskirts of the organization will just lead to mistakes. But strong corporate cultures and values can guide smart decision-making, and as a result increase the pace of the business. There also needs to be strong, measurable objectives that the staff can understand. These goals need to be articulated widely, repeatedly, and broken down into what each group and person can do to support them. Coupled with strong company values, this leads to a decentralized, yet cohesive workforce. 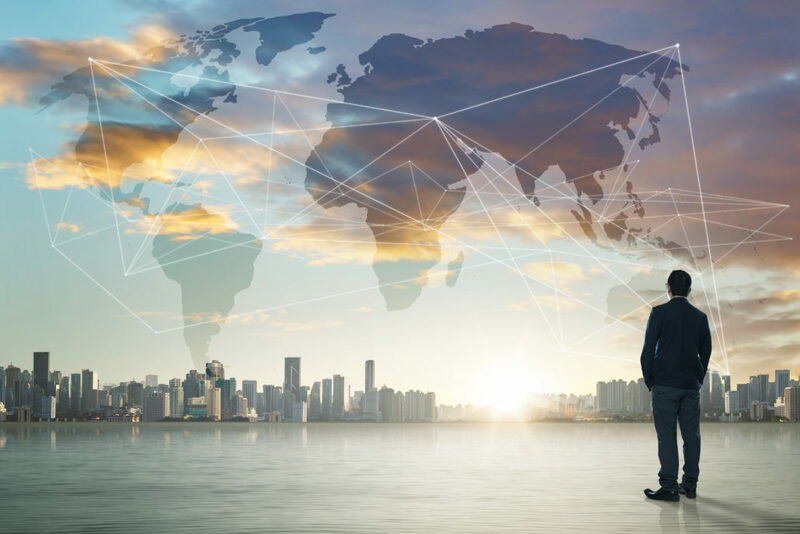 Employees can be located anywhere in the world and still know exactly what the expectations are. Outsourcing firms know what their client values and can deliver against that. Partners and suppliers also are in tune with the company’s goals and values and can build a stronger relationship. Moving faster starts with an enabled, decentralized operating culture. So how does an organization actually operate once it has achieved a good, decentralized business culture? It begins and ends with the IT group. IT is the cornerstone for building a business that can operate at a faster pace, but still maintain strong control. A business with decentralized decision-making can move faster than a traditional business. But if you’re not able to maintain a degree of control and oversight over operations, then it’s a recipe for disaster. The goal is to build an operating culture that can move incredibly fast and remain in control. 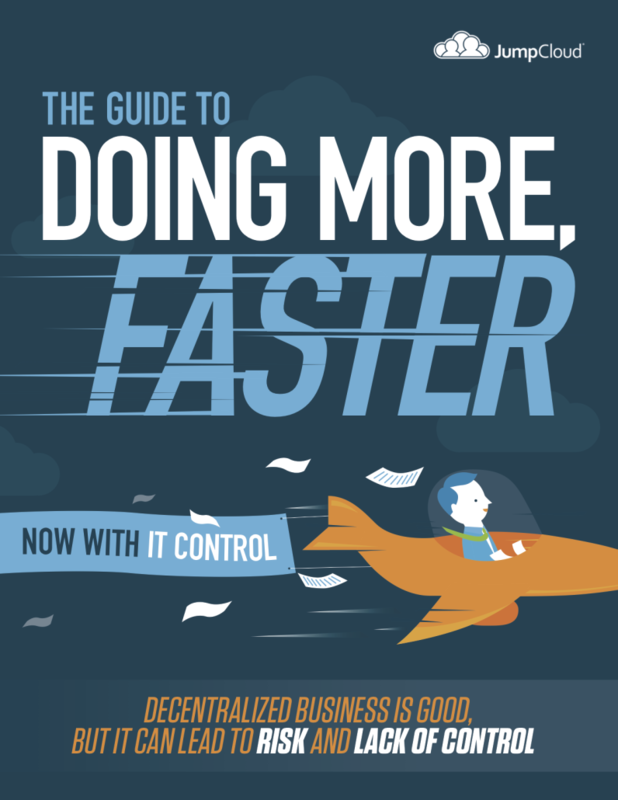 Learn more about how to create a foundational culture in IT that executes faster and still stays in control in our eBook Doing More Faster, Now with IT Control. Drop us a note to find out how our cloud based directory can centralize IT in your environment. You’re also encouraged to start discovering how you can do more faster with our virtual identity provider by signing up for a free account. Your first ten users are free forever.